Restylane® is recognized as a reliable remedy for plumping and restoring fullness to furrows, folds, wrinkles and sunken areas of the face – particularly around the nose and mouth. Impressions of beauty change with time, as do our faces as we age. With Restylane, you can fill wrinkles and hollows with a filler that is similar to a substance our own bodies make. Restylane is a crystal-clear, non-animal, biodegradable gel based on a natural substance called hyaluronic acid. The gel is injected into the skin in tiny amounts with a very fine needle. The result is instantaneous and produces a long-lasting, natural enhancement which is gentle and safe to your skin. One of the great advantages of Restylane is that it is long-lasting but not permanent. Unlike permanent treatments or implants, Restylane always leaves you with the option of re-evaluating your needs when the initial effect has worn off. When Restylane breaks down, water takes its place. With Restylane, you will always have the option of continuing or changing the combination of treatments. A follow-up can be performed at any time you like after the previous treatment. Achieving the look you desire is as easy as it is quick. The result is instantaneous. No previous skin test is needed, which means that you can have the treatment immediately. The session often takes less than thirty minutes. The treatment time differs somewhat depending on the level of correction you wish to achieve. When injected into the skin, Restylane produces volume that smooths the wrinkle or fold, shapes the facial contour or enhances the lips in a natural way. The result is immediate. The method of injecting Restylane is fast and safe and leaves no scars or other traces on the face. For wrinkle treatments, pain relief is not required by all patients; however, it can be easily arranged at your request. Prior to your procedure, a topical anesthetic cream can be applied to the area to be treated. You can also choose to have a local anesthetic injection. Immediately after the treatment, you can expect a slight redness, swelling, tenderness, and an itching sensation in the treated area. This is a normal result of the injection. The discomfort is temporary and generally disappears within a few days. 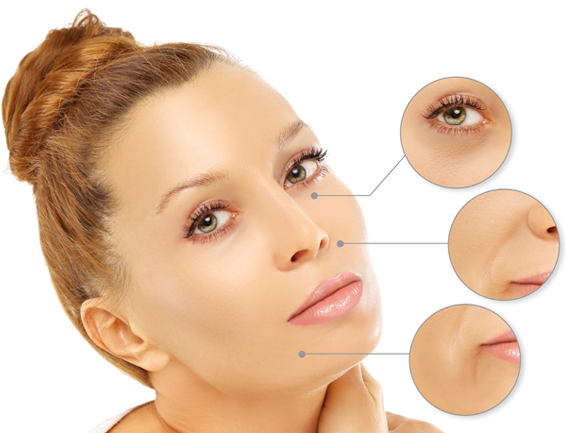 When it comes to lip augmentation, the swelling may last longer. Some patients experience swelling for about a week. During this time, the lips can look somewhat uneven. This means that the result directly after the treatment should not be regarded as the final result. If the discomfort continues or if other reactions occur, you should always contact us. A touch-up treatment within 2-4 weeks after the initial treatment may be necessary to achieve an optimal correction. 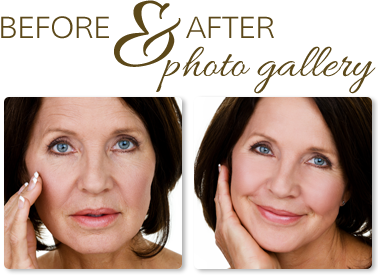 Dr. Hayes has been injecting fillers for over 20 years. His experience in facial anatomy as well as his artistic eye are what patients are seeking when using fillers to enhance their appearance.